Dont miss this spectacular West Somerville modern top floor 6 rm, 2 bed condo w/ parking, private front porch & gorgeous shared yard! 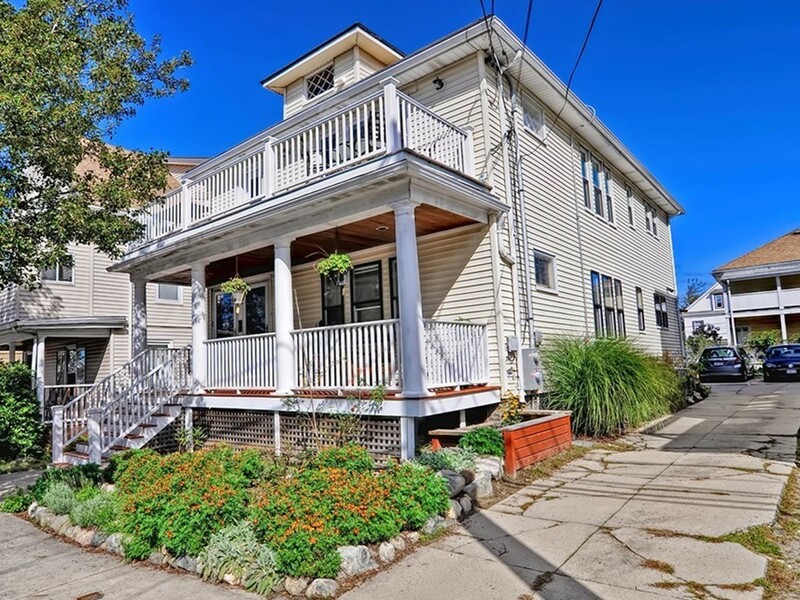 This lovely home is nicely tucked away on a quiet side street just 1 block from Tufts Univ, less than a mile to Teele & Davis Sq, over 50 restaurants/bars & just blocks to the soon to be College Ave Green Line T stop! Large open living room, formal dining room w/ built in hutch, eat-in updated kitchen w/ handy large pantry & newer appliances, a new completed renovated bath & a finished heated sunroom perfect for a home office/guest room in a pinch. Terrific features including gleaming wood floors, newer windows, updated electrical, new boiler, newer hot-water tank, ceiling fans, tons of storage space in basement/private attic. Close to public transport at routes 16, 2, 3 & 93. About a half a mile away from Dilboy Pool, Stadium & Field, Mystic River Path and the Alewife Greenway Bike Path!